CASAC has made a written submission on 8 March 2017, to the Portfolio Committee on Justice and Correctional Services on the Implementation of the Rome Statute of the International Criminal Court Act Repeal Bill [B23-2016]. The purpose of the Bill is to repeal the implementation of the Rome Statute of the Criminal Court Act, 2002 and facilitate South Africa’s withdrawal from the ICC. The North Gauteng High Court recently held that the notice of intention to withdrawal from the ICC was invalid and unconstitutional due to the lack of prior consultation with Parliament. South Africa issued a notice to the United Nations to formally revoke its withdrawal on 7 March 2017 following the High Court’s judgment. Click here to access CASAC’s submission. 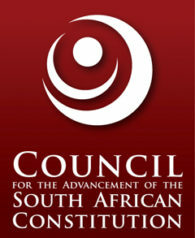 Members of the Advisory Council of the Council for the Advancement for the South African Constitution (CASAC) met on Saturday 4 March 2017 in Cape Town for its bi-annual meeting. The CASAC Advisory Council, chaired by Sipho Pityana, had a detailed conversation about the state of the nation and the political and economic crises that threaten the welfare and security of all who live in South Africa.